Biopics can be a little bland. No matter who it’s about, or how fascinating his or her life and accomplishments, the movie itself tends to follow the same pattern: troubled childhood, early success, marital problems, a spectacular defeat followed by redemption. Selma avoids this cliched trajectory by focusing only on one brief period in Martin Luther King Jr.’s life – the march from Selma to Montgomery, Alabama, to protest unequal voting rights. This period allows director Ava DuVernay to portray the most interesting facets of King’s character and make an impactful statement about his magnetism, brilliance and unparalleled influence on American history in a way that feels new, not overdone. The film gos deep into the struggles King faces both at home with wife Coretta Scott, who worries about her family’s safety, and at the White House, where President Lyndon Johnson tries unsuccessfully to placate King’s demands with promises to address the voting issue after he’s fixed the poverty problem first. 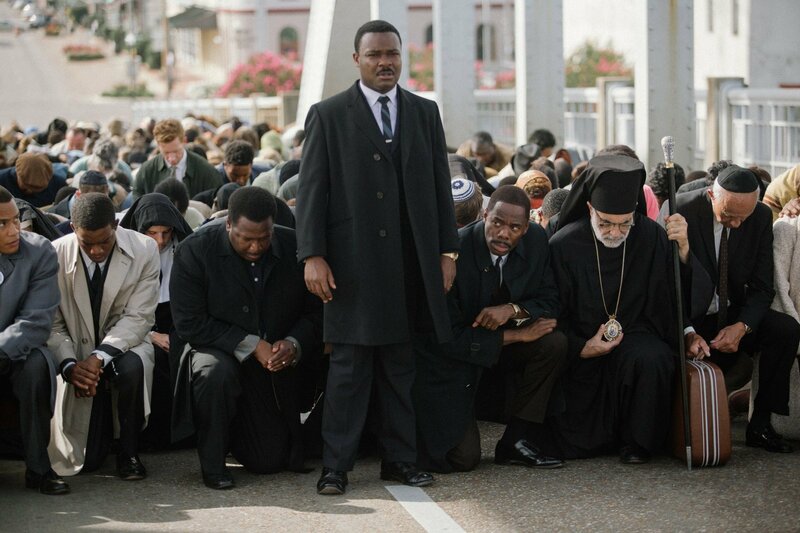 Selma is most powerful when David Oyelowo, as King, can take center stage. He does much more than imitate King’s speech and mannerisms – he brings him to life with magnificent orations as well as gentler moments of humility and quiet leadership. In today’s climate of renewed racial tension, King’s words and mission have never been more relevant, and Selma makes you realize just how much we need a leader like him. Fifty years after Selma, his work is not done.